Until now, the only options available in a portable propane generator required the propane tank to be separately carried, where it would then sit to the side of the generator while in use. The LP3250 incorporates a tank holder into the frame itself, so the propane tank sits securely out of the way. It eliminates the hassle of a stand-alone tank and the awkward fuel line that goes along with it. 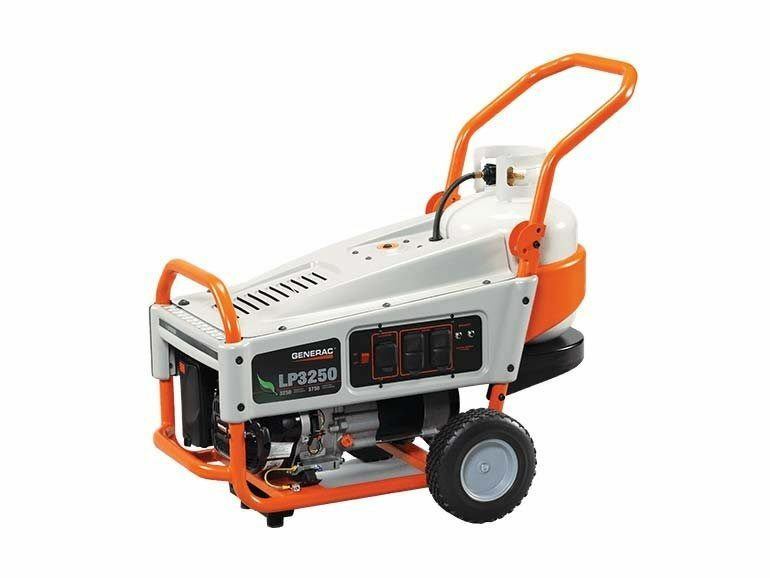 Take the LP3250 along for outdoor events, camping or job site use, or use it around the home for projects and emergency backup.